As the Trump Administration continues an attempted coup in Venezuela, we interview journalist Dan Cohen about his new article: The Making of Juan Guaido: How the US Regime Change Laboratory Created Venezuela’s Coup Leader. 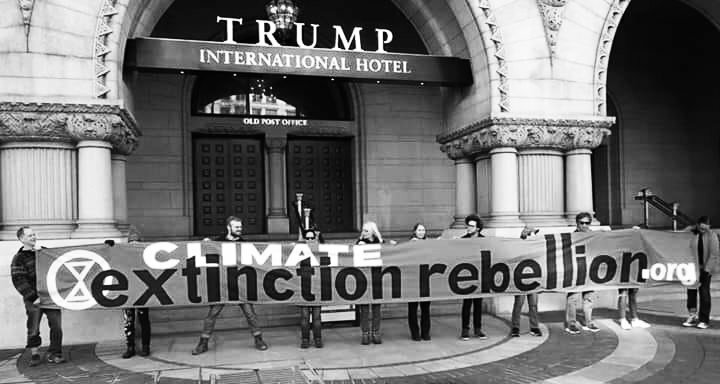 Also, Extinction Rebellion, the civil disobedience movement that sprang up in Europe to fight climate change, lifts off in the U.S.
–This week, the Trump Administration escalated its economic war against Venezuela. –Allies of the Venezuelan government are calling on the U.S. to stop the illegal economic stranglehold on the country. –Corporate Dems Support Anti-BDS Legislation. –Journalist Marzieh Hashemi, who was imprisoned in the U.S. for 11 days with no charges, returns to Iran to a hero’s welcome. –Immigration and Customs Enforcement officials are reportedly using plastic nasal tubes to force-feed at least six detained migrants. –DC forum explores the election of neofascist Jair Bolsanaro as Brazil’s present. –After singer Rihanna decided to boycott performing at Sunday’s Super Bowl in solidarity with quarterback Colin Kaepernick, other artists including Cardi B, followed suit. –Quote of the week is from John Bolton on Fox Business, chattering away about how the attack on Venezuela is really about the oil..